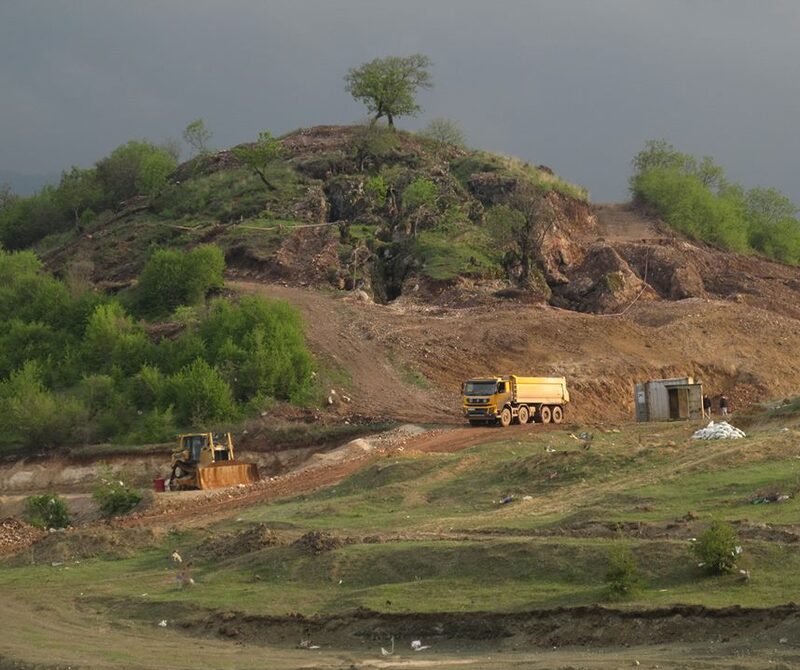 TBILISI, DFWatch–Tbilisi City Court has suspended a decree by the Ministry of Culture that gave a green light to begin mining at the site of an alleged ancient gold mine in south east Georgia. RMG Gold, a gold mining company that was prohibited from carrying on work in Sakdrisi, said it would appeal the verdict. In March, the Ministry of Culture issued a decree permitting mining work in Sakdrisi. The decision was strongly criticized and a protest camp was set up nearby the mining site. According to the court decision, continuing mining ‘may harm the site and it might be impossible to restore its initial shape.’ Therefore it would be impractical to protect the interests for which the plaintiff appealed to the court. May 19, Kakha Kozhoridze, director of Georgian Young Lawyer’s Association, an NGO, and Dali Mamulashvili, a local anti-mining activist, appealed to Tbilisi City Court demanding the suspension of RMG Gold’s mining work at the site. Tbilisi City Court suspended mining on the site until a final decision had been made over whether the site has value as a historical monument, thus falling under the rules that protect historic and cultural heritage. According to some accounts, Sakdrisi is a prehistoric gold mine with 5,400 years old traces of human activity. A spokesperson of RMG Gold on Tuesday slammed the court ruling, saying that it completely ignored the company’s arguments. RMG Gold claims the ruling brings material damage to the company, jeopardizes its very functioning and might be harmful for the overall economy of the country. Two weeks ago, experts invited by the Cultural Heritage Protection Agency and RMG Gold confirmed that there was an ancient mine in Sakdrisi. The report of one German and one Bulgarian archaeologist who studied the Sakdrisi site in May says that in prehistoric times, minerals were extracted from Sakdrisi, but it is still not clear whether it was copper or gold. Therefore, further research is needed, the report concludes.